There is a new heart-breaker in my world and her name is Cait Reynolds. She is an mucho-fab-lady and liaison. While I hold her in high esteem, I am afraid I still dive head-first at break-neck speeds into the #ultra #newbie category of hip and happening #AmWriting kind of peeples, deemed guinea pig and proud to wear the badge. Through her careful, non-shaming coaching and “F yeah” attitude she has taken this top-grade A #panster and shown her the light of what being a #planner is all about, or at least a fledgling dot in the outlining a novel hemisphere. No more getting bogged down in the 30,000 word quagmire. Here in lies the real work, for me, I whined and whimpered a bit, but my hissy-fit was a lonely dramatization for one. I doodled and assigned actors in my leading roles, classic procrastination. I was tasked with the challenge of saying NO to inking chapter 1 until I’d written the “story before the story” (see caitreynolds.com) and how my main characters interacted with each other. If I wanted to be a part of N.A.N.O. , and she’s so stealth I’d no idea I’d be attending, I needed to honor my story-line with a sense of understanding or I’d be doing myself and my fresh “twinkle in the eye” a horrible dis-service. W.A.N.A. International offers a variety of educational, fun and affordable classes for everyone with a slew of talented instructors. And the great news is…I completed my challenge. Not until the final hours, because why would I ever do anything without a flair for the over-dramatic, and not without concern I’d have to start my attempt at outlining again, but I did it! I get to begin the real chapter 1, my golden cherry, tomorrow with a gazillion other “I think I can” writers of the world. We will see how this new guinea progresses in the most magical month of November, but freak out I won’t. I did that already, gosh. and their esteemed super-warrior founder/queen Kristen Lamb, who in turn led me to Cait, not because Cait needed my kind of vanilla, but because Kristen cared enough. These two are, in my mind, the greatest love affair or ice cream combination of all time. 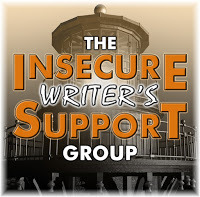 Now I beg all my #IWSG friends not to get in a Lizzy-kind of-tizzy over such a statement, as both groups offer support in ways I am honored to be affiliated with and writers need writers who care, remembering how the streets were paved back in their “I think I want to be a writer” days. Great post, thank you for sharing. E.
This made me laugh out loud – you have such an engaging way of writing, how can I not read? Wishing you well with NaNo, but it’s not for me. Please let us know how this goes for you – and if you and Cait and Kristen are still on speaking terms on December 1. WANA is new to me. Glad you found two nesting places! Hi, Jess! You had me laughing with your post! What’s better than one supportive group? Two! Unless you’re time-stressed like me. LOL good luck with your writing in November! Yay! My humor is not lost & that makes me sooo happy 🤣 Happy November! I get Kristen’s newsletters and savor all the info. I keep meaning to be part of the WANA nation, but then I flake out and my brain scatters all over the floor. Maybe I should go there…maybe that is the training my brain needs! I am your forever girl groupie/cyberstalket/wannabe. Keep rocking and I thank you both!